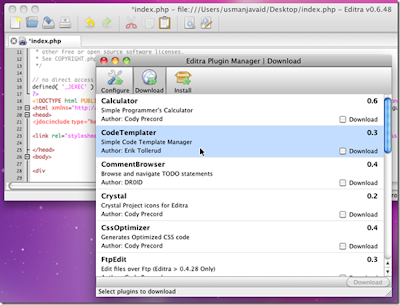 Editra is a Open source Multi Platform text editor which offer many features that are useful for editing code. it mainly focus on creating an easy to use tabbed page interface and features that aid in code development. Currently it supports syntax highlighting and variety of other useful features for over 60 programming languages. The Highlighting color schemes can easily customized through CSS to describe the theme you want the text to be highlighted in. In Editra, CSS style sheets (used for highlighting) can be easily written by using the new built-in style editor which allow to you test and customize your code on the fly. It allows customization of text controls styles and you can export all setting in an Editra Style Sheet format.